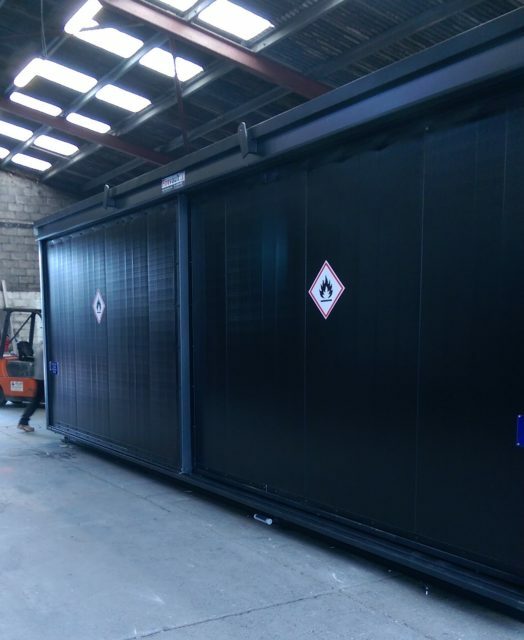 PCWS recently contacted Chemstore for information and advice regarding the storage of their bulk Flammable liquids. 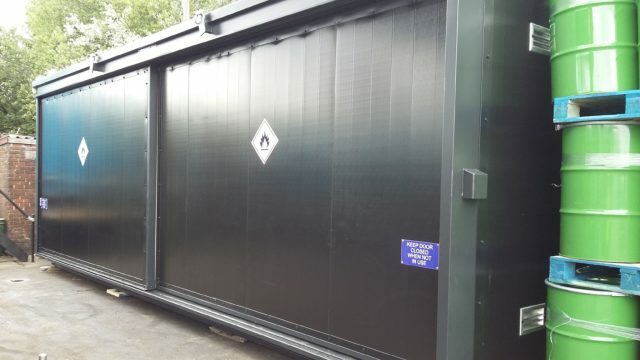 Chris James (Chemstore) visited the site and designed a bespoke 90 Minute Fire Rated Firevault to ensure compliance with all legislative requirements and environment responsibilities. 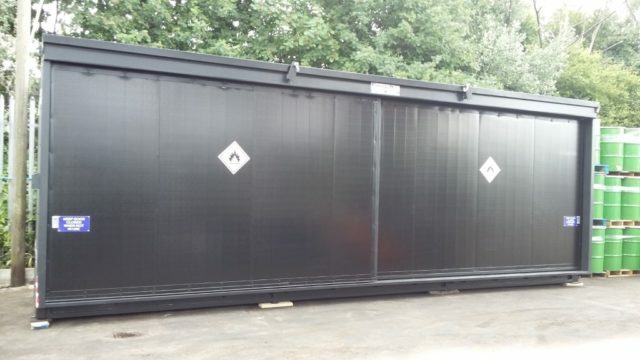 Chris also suggested a design incorporating a 'Push Back' racking system that allows for pallets to be stored double deep and against the boundary fence. This feature maximised the available space on site. Chris also helped to review alternative designs suggested by competitors, highlighting how those proposals were not suitable for this type of flammable waste, explaining clearly where the shortfalls were and proposing appropriate alternatives. Storage: 24x1000L IBC’s, 24 pallets or 96x210L drums stored on 2 levels with Pushback System to allow stacking of pallets/IBC’s, two deep, on one shelf. From the beginning of the enquiry PCWS were provided with clear, accurate information and advice. All paperwork including specifications, drawings, email questions were dealt with efficiently. The delivery and installation of the Firevault went smoothly. Pure Clean Waste Solutions Ltd.